Garden Sign Post " We Believe In Fairies". 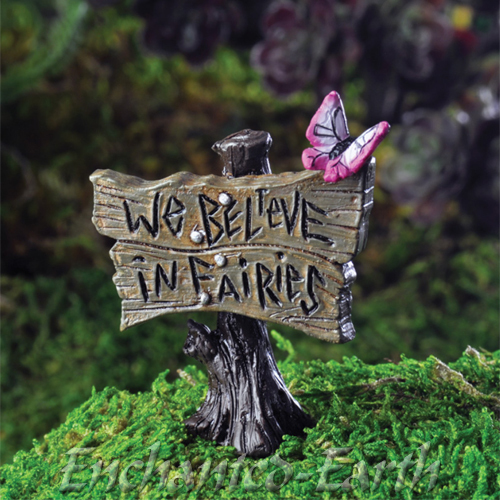 Super cute fairy garden sign post with a pink butterfly on the top. Made from hand cast cold resin but looks like old carved rustic wood with a metal base stake to hold your sign in place. 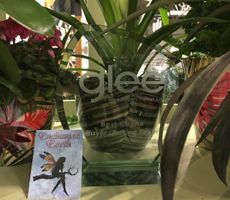 Adds height and great details to any fairy or mini garden. "We believe in fairies" rustic Woodland sign.